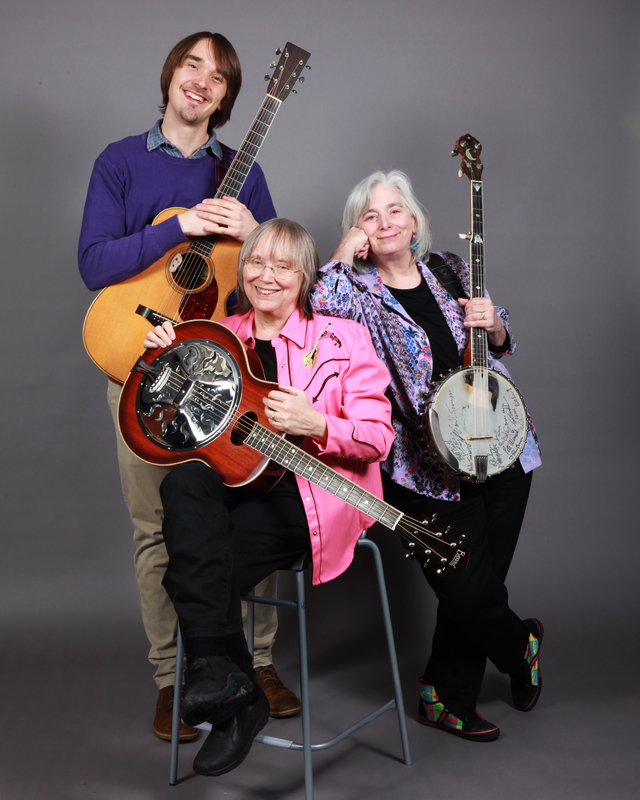 Cathy Fink, Marcy Marxer, and Sam Gleaves find common ground in the music they love from Appalachia as well as contemporary songs that keep alive the tradition of singing for and about social justice. Their three-part harmony singing is matched with vibrant instrumental work on fiddle, banjo, resonator guitar, mandolin, guitar, cello banjo, and penny whistle. Cathy, Marcy and Sam were official showcase artists at the 2016 Southeast Regional Folk Alliance, the 2017 Folk Alliance International, and the 2017 International Bluegrass Music Association Bluegrass Ramble.